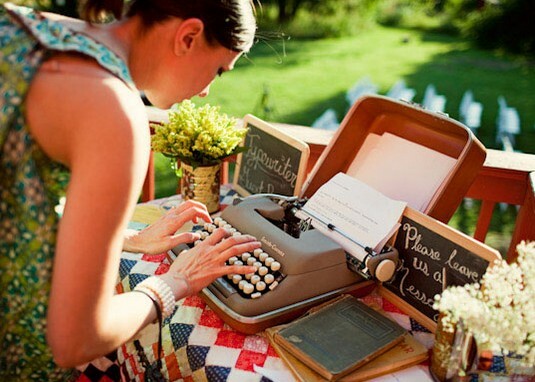 Transport guests back in the old times by having them leave a message to the newlyweds using a typewriter! See more photos from this wedding on the source. See this idea where guests have to crumple their message and toss it in a basket.